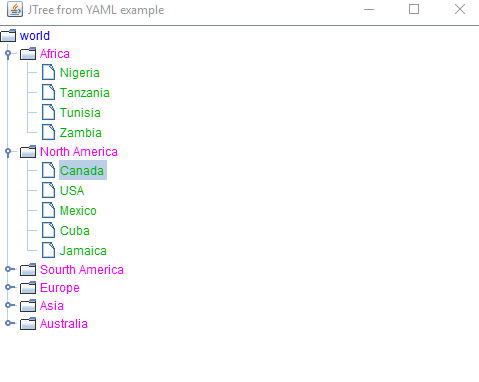 Following example provides a generic utility to load YAML data and build TreeNode from it. We are going to use SnakeYAML implementation to load data from yml file. snakeyaml 1.21: YAML 1.1 parser and emitter for Java.